Home › FAQ › Can You Take the ACT and SAT on a Computer? Many students wonder if they can take the ACT and SAT on a computer. 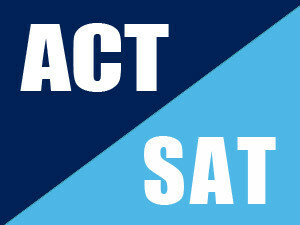 In short, the ACT is transitioning to a computer-based format, but the SAT is still only available in traditional paper format. Keep reading to learn more details about how to take the ACT and SAT on a computer. each of these important college exams. According to the official ACT website, an announcement was made in early 2013 that changes were being made in order to adjust to the education market. That is, the ACT conducted a massive online beta test of their traditional paper-based test. While the test content, scores and time limits haven’t changed, the accessibility platform started transitioning to computer-based tests in select schools in 2015. The ACT plans on expanding even more in early 2016. However, the ACT will provide students with online tutorials that will walk them through the testing format and also free online preparation tests. Many students wonder will online testing be available on the same regular national or international test dates with paper-based tests. Currently, the ACT is only offering online testing for certain districts and states on regular school days as part of state or district testing. Instead of having a set day and time for online tests, they will have an official time frame of completion. National and international online test dates have yet to be confirmed. Currently, online ACT exams cannot be taken on tablets or unauthorized computers. This is because the computer must have the right security administration tools and functions that will allow exam proctors to temporarily disable features and applications, such as email, webcams, printing and Internet access. In fact, the ACT will provide schools with a security validation program that they can run on their computers. The SAT exam is offered by the College Board, which is a leading higher education advocacy and outreach organization. The SAT is the other most widely used college admission test. However, they do not offer online tests, but instead offer traditional paper format tests through their test centers. While the SAT is still a computer-based test, the College Board is also implementing significant updates. Sometimes in 2016, the College Board will release a redesigned SAT that will more closely match the academic work that high school students experience in classrooms. There will be an increased emphasis on providing evidence to explain test answers. There will also be a transition from unknown vocabulary to prevalent words used in colleges and places of work. Additionally, the point score scale will be changed to 1600, there will be an optional essay and students will not be penalized for wrong answers. In order to assist students with preparing for the exam, the College Board now offers free online sample problems and instructional videos, which have been developed in partnership with the leading self-help educational organization the Khan Academy. To conclude, students who wish to take the ACT and SAT on a computer will be able to complete the ACT online, but must complete the SAT through traditional means.